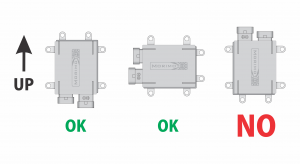 1) As part of the installation process, ensure all connections “click” together with their respective plugs to maintain water-resistant properties for the connection. 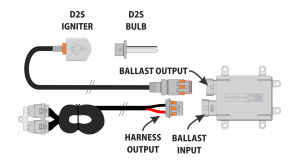 While the ballast does not need to be grounded, we recommend it. 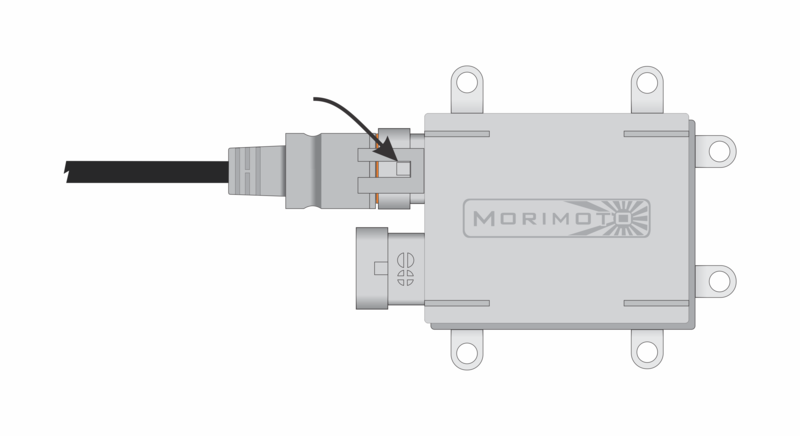 NOTE: We do not guarantee proper function without the use of an approved Morimoto wire harness. 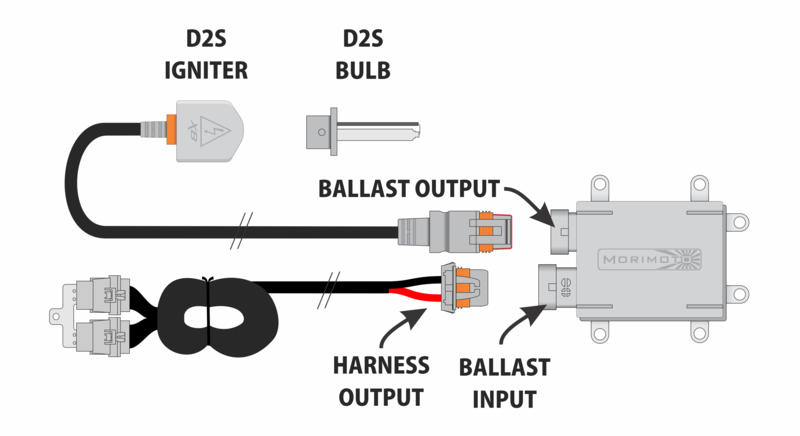 2) As part of the installation process, ensure the connection between the igniter and ballast box are fully seated, with the clip holding the connection tight. 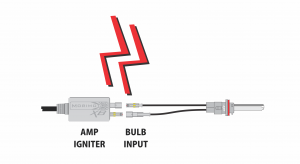 The igniter must be snug in the ballast output to ensure no damage results. 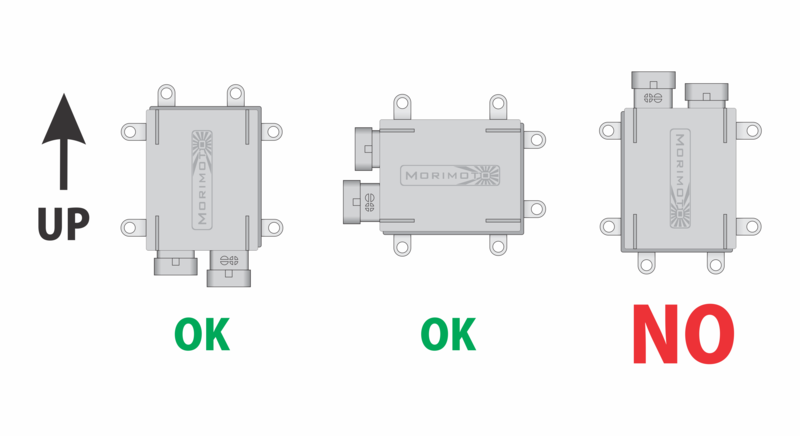 3) We recommend mounting the ballasts in the indicated directions to ensure no water penetration into the connectors. The connections cannot exit at the top as that causes water to pool up inside them. 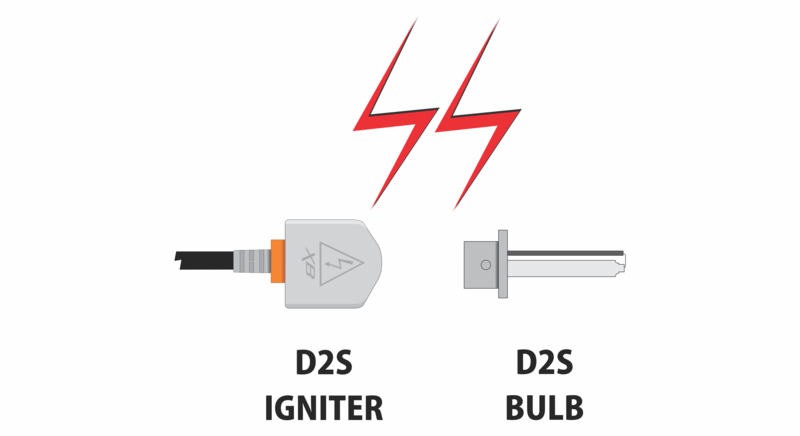 4) D2S Ballasts:: To ensure you do not damage the D2S bulb upon installation, we recommend to push the head of the ballast until it is fully seated against the bulb. 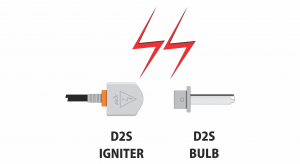 Then turn the D2S head to lock it onto the bulb. NOTE be mindful that the tabs on the side of the bulbs must be fully seated in the ballast head prior to turning the ballast head to lock it. They are fragile and must be used with care. 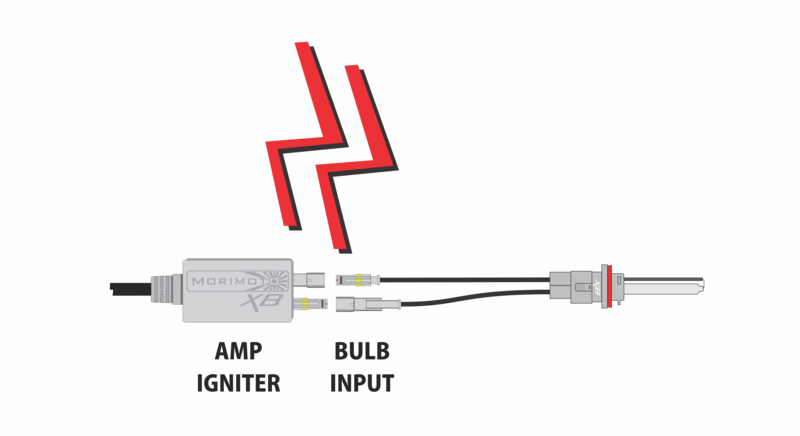 If you hear a “zapping” noise, the ballast head is not fully seated on the bulb and may cause permanent damage / fire. 5) AMP Ballasts :: Ensure all male/female connections are snug and clicked together. If you hear a zapping noise, check the connections to ensure they are all fully seated.